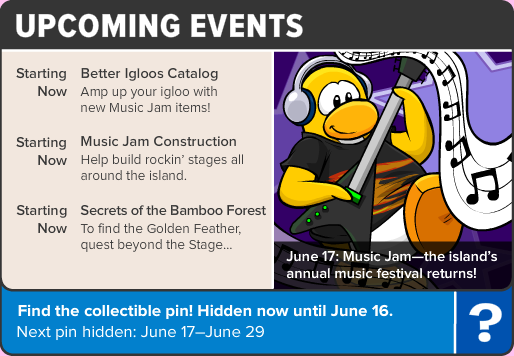 Club Penguin Cheats by Mimo777 Club Penguin Cheats by Mimo777: Hip Hop Rompin' Stompin' News! 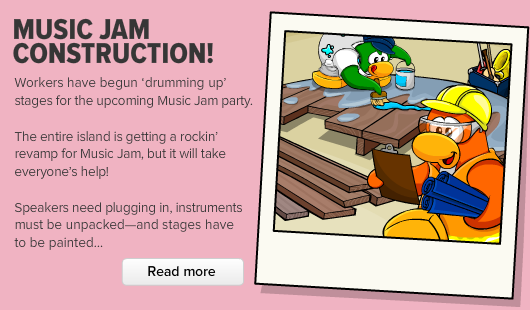 Of course, you know the construction has begun for the Music Jam! Awesome! I bet they will have a new back ground! We are sooo gonna have to help each other find them at the Music Jam! Why do they have to change everything? What happened to the original band? aww... i really wish they had their original look. It now looks like a new band. They're going from a country look to more or a rock look. i agree with linky. WHY DID THEY HAVE TO CHANGE EVERYTHING?! It looks worse. That's the original band,Linky they just change their clothes...and two of them their instruments but g billy and petey k have their old instruments. Hey Mimo! Found something that I think the staff at club penguin forgot about. I tried to recruit someone and there wasn't an EPF postcard to give to them. Is it Carl? Or just a simple forgetful mistake?? i totally agree with linky and everyone, why are theyre changing the band? Everyone likes the old one becuase theyre part of Memory Lane. Whats next? Theyre changing Gary or Aunt Arctic? I bet theyres new bg. Well... I think it looks great! I didn't really like that they were wearing a hat, so its a BIG change! It looks WAY cooler! 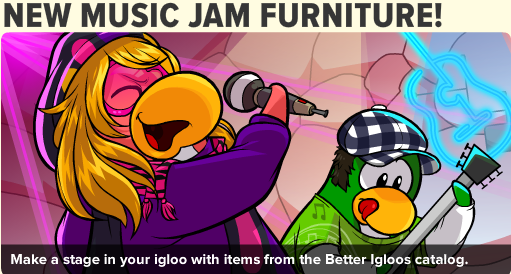 From the bad new look of the puffles to the new ugly look of the Penguin Band. When I saw the Penguin Band on the newspaper I thought they were different people! They're making almost everything original CP go down the toilet! Nooooo!Where are our cowboys! ?Where is Franky that i know!I will cry all my life! the penguin band looks weird now. ill probably get used to it but i will never like it. they better not change the outfits of the other mascots. Yikes! When I read the newspaper, I could only recognise the first two characters! The other two were completely different! It must be the hair that they've been hiding under their hats. Unfortunately, I don't like this change. They should be a country band, not rock and roll. I really dislike the new look. Don't fix it if it's not broken. I miss the old one, so simple. I am scarred for life. Penguin band had a long and GOOD history. Now it just ended.